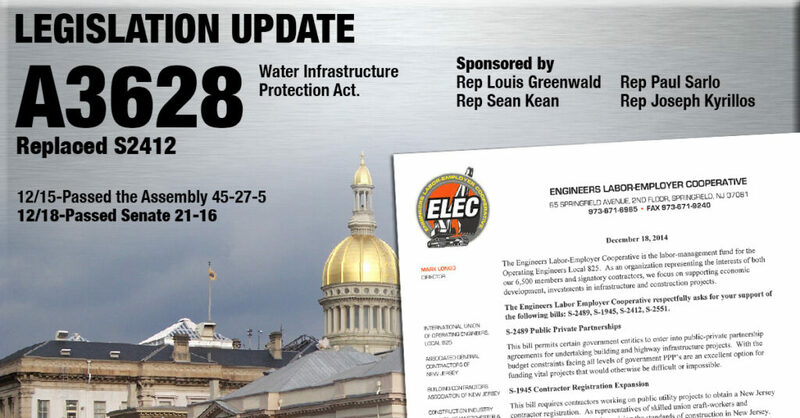 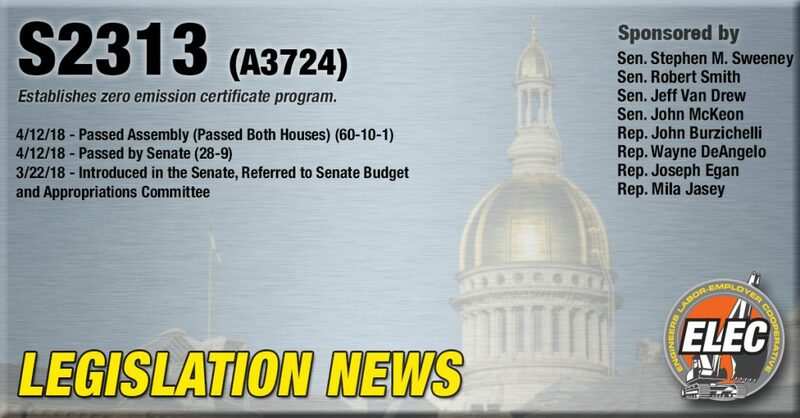 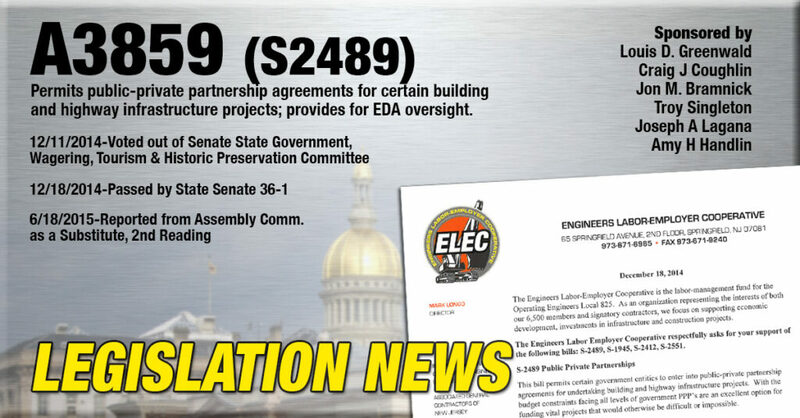 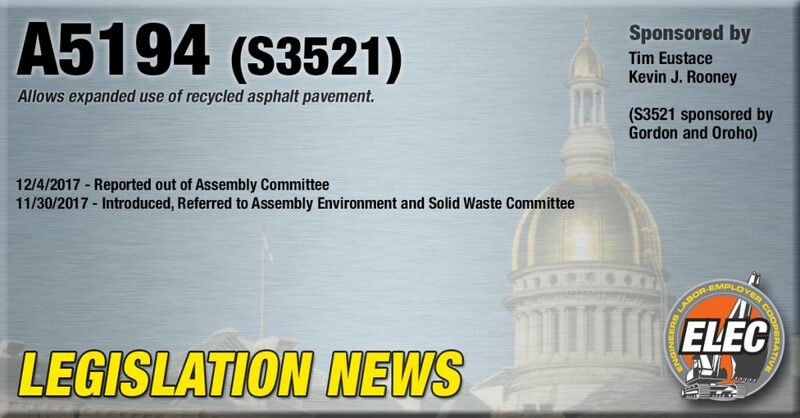 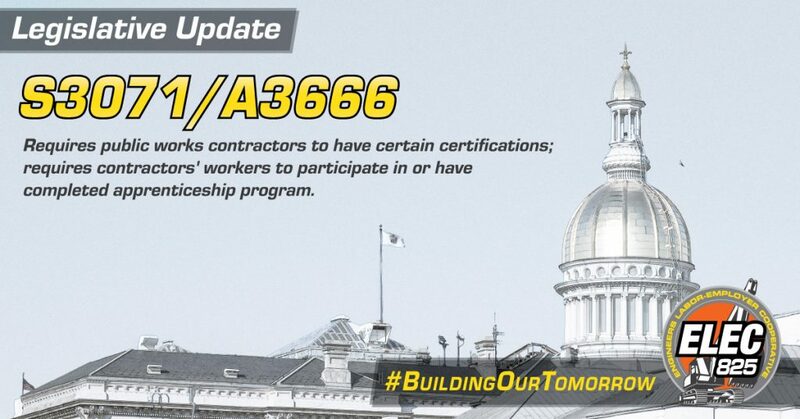 ELEC825 advocates for development projects and legislation that will benefit union Operating Engineers, contractors and our communities. 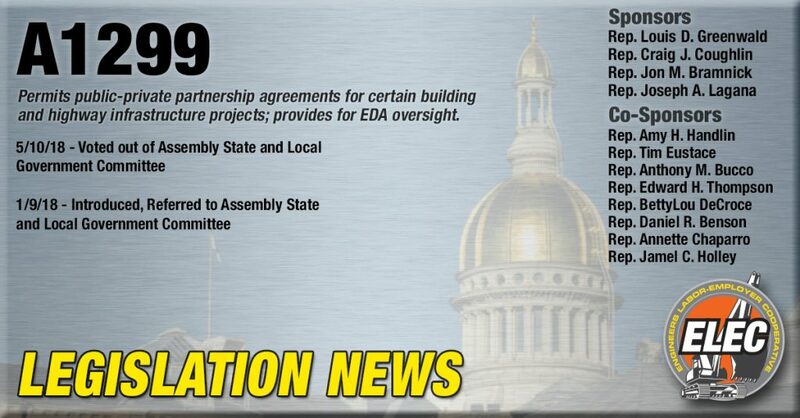 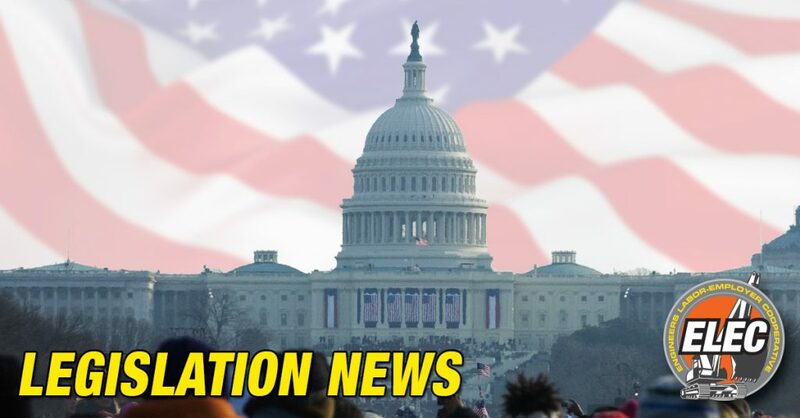 We work actively in Trenton, Albany, and Washington DC and at the county and municipal levels to increase support for programs and legislation. We monitor legislative activity and serve as an advocate with members of government, government agencies and the public to advance our issues. 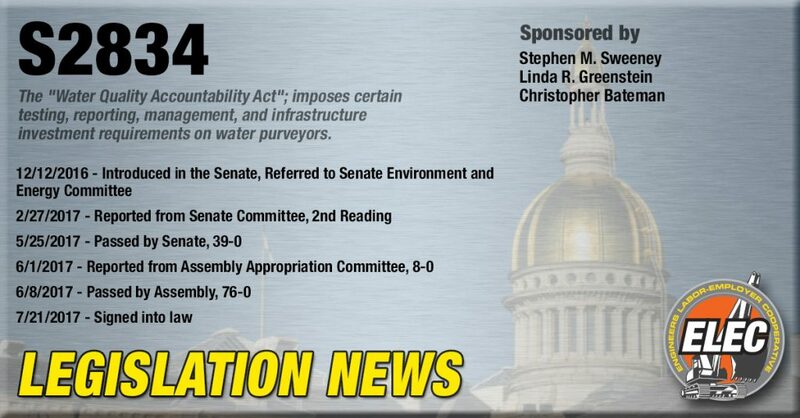 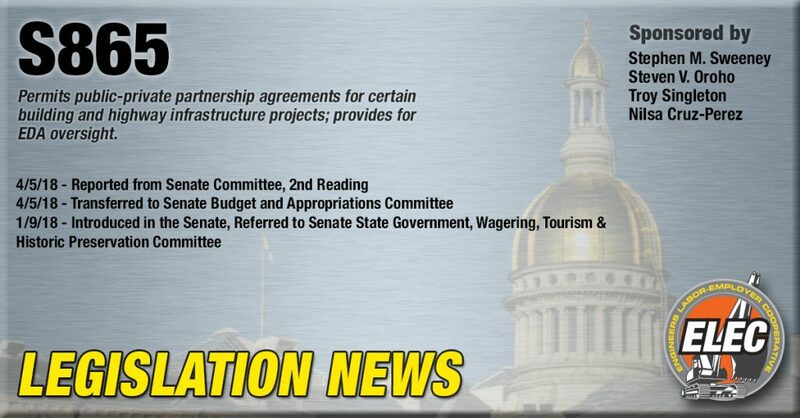 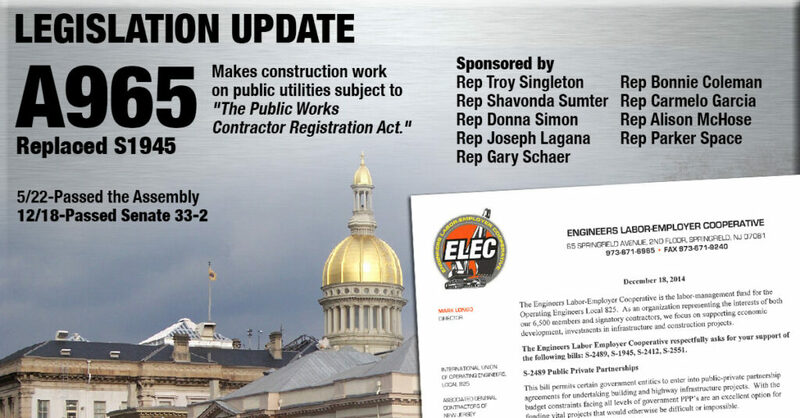 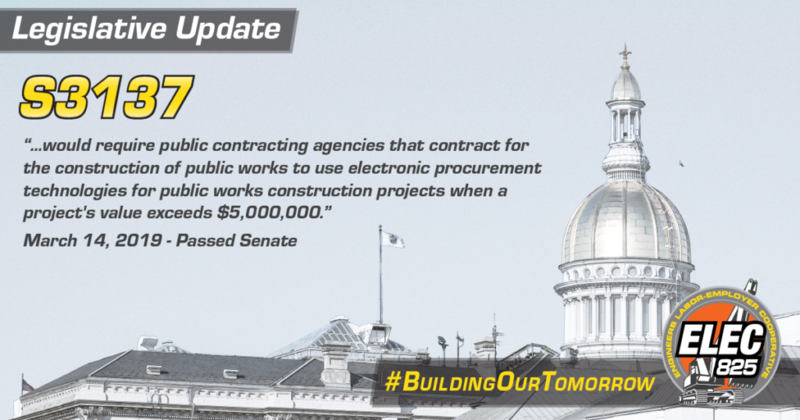 We promote union built development projects, support construction-friendly legislation in Trenton, and communicate how infrastructure is critical to the region’s economy. 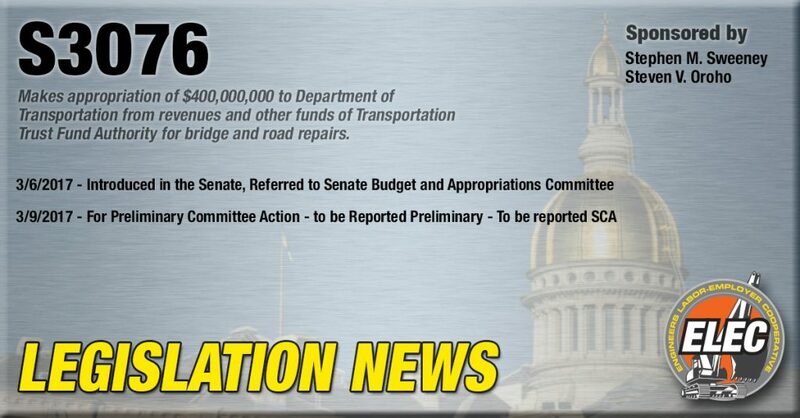 ELEC825 launched the Road to Repair website to consolidate its advocacy for a Transportation Trust Fund (TTF) solution in 2016. 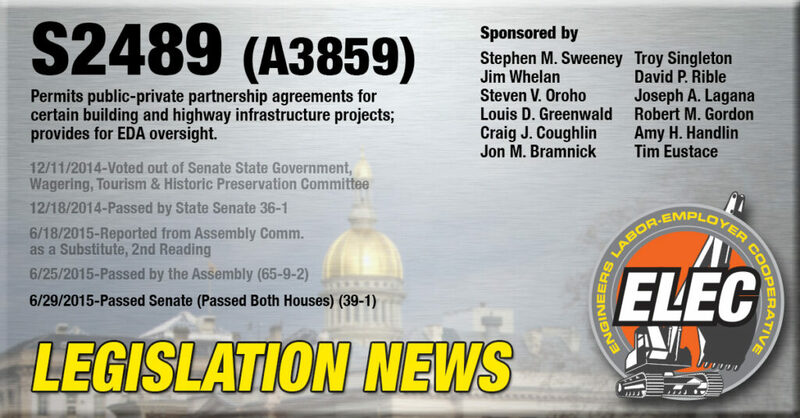 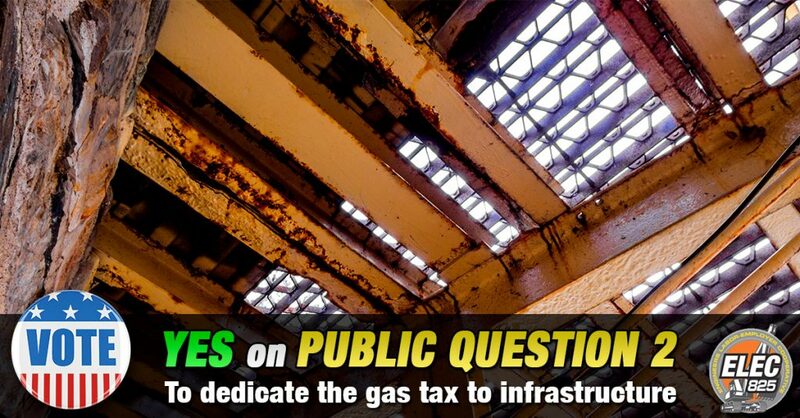 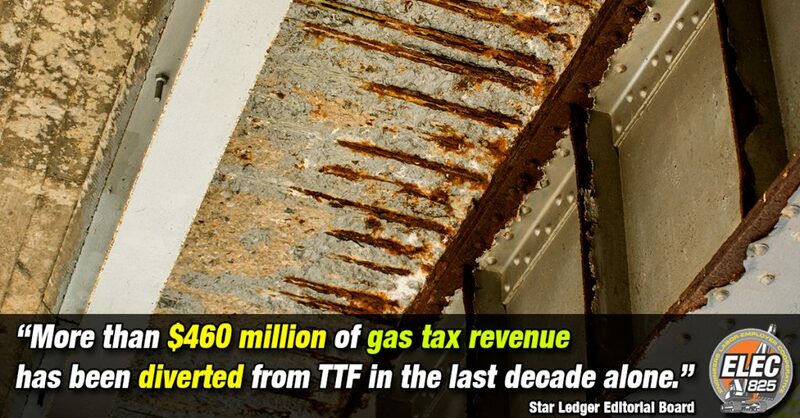 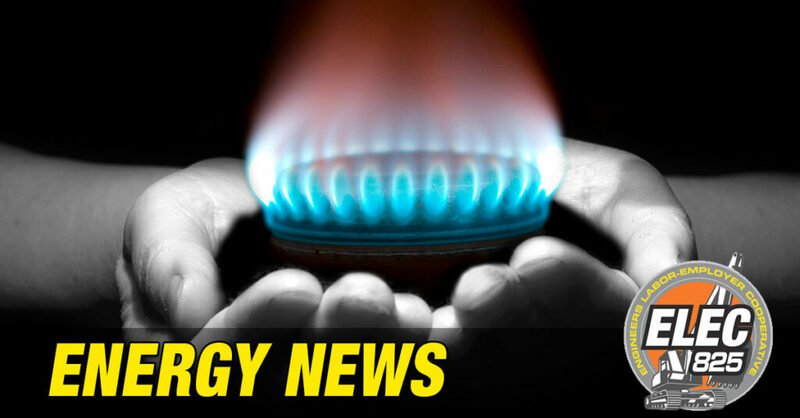 Its resounding success led to its expansion in 2017 and 2018 to advocate for all infrastructure, including transportation, water, sewer and energy and to extend beyond New Jersey into New York.